The Star Wars/Game of Thrones crossover you NEED: Darth Drogo! What if Khal Drogo, the Dothraki horselord, came over to the Dark Side? It would probably look a lot like this. Behold Darth Drogo by jbcasacop on Deviant Art, the first in a new series called Star Wars: The Throne Wars. Check out the whole thing below. Dark lord of the Khalasar. I'm a fan of Star Wars. I'm also a fan of Game of Thrones. I couldn't decide which one I was going to make fan art of so I thought of doing both! 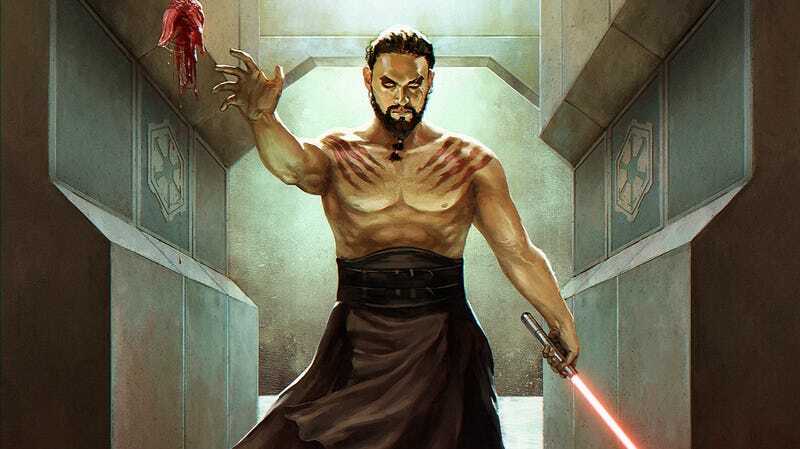 Here's our favorite Dothraki depicted as a sith. This is the first of my Star Wars: The Throne Wars series. I shall make use of my spare time to make more of these!